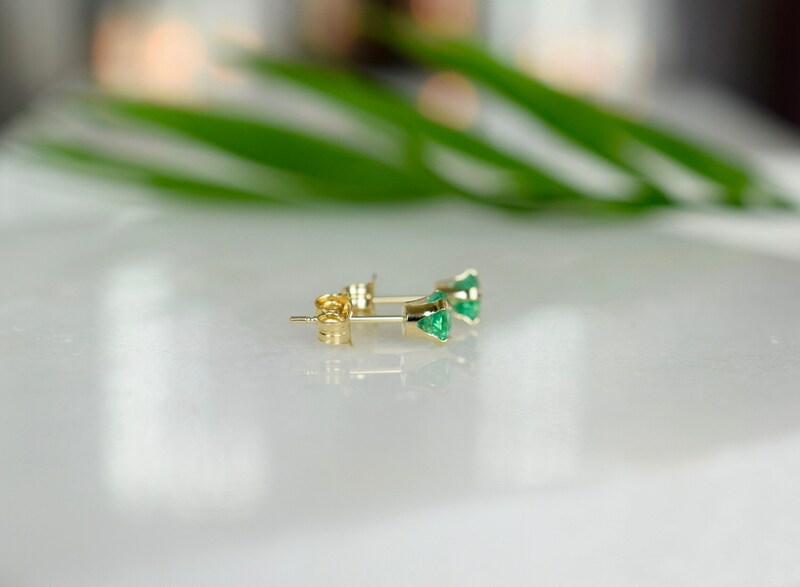 These beautiful earrings are designed with Zambian Emeralds that measure 4mm and set in 14k yellow gold earrings. 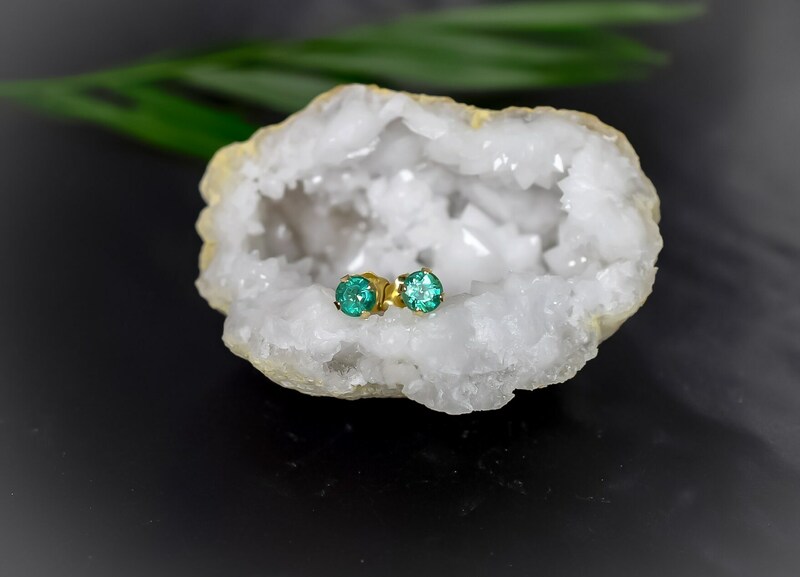 The lustrous Emeralds are 100% genuine, earth-mined, natural gemstones - they have not been treated or dyed. 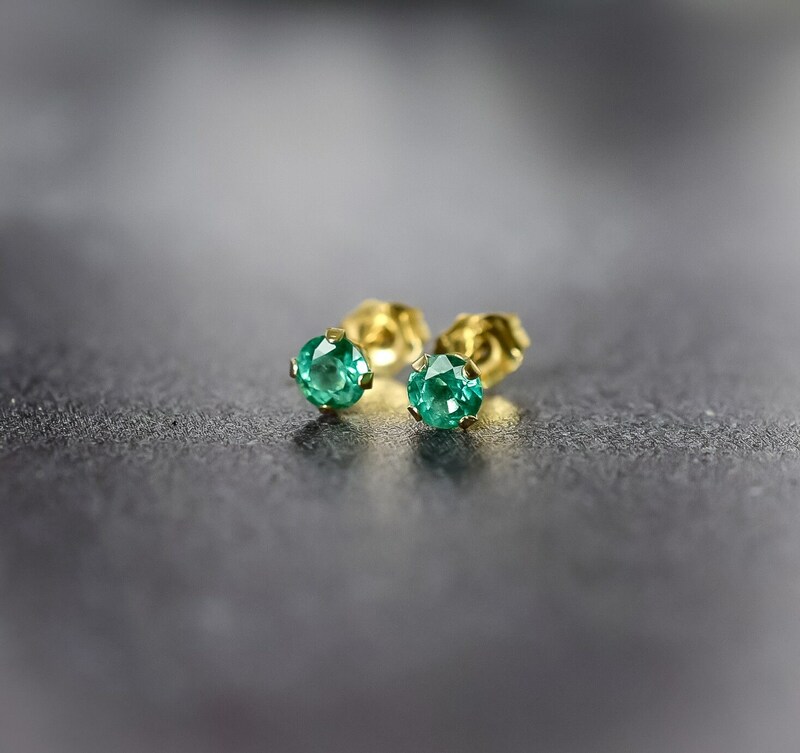 Zambian Emeralds are known for their glowing green colour that has a bluish tinge. 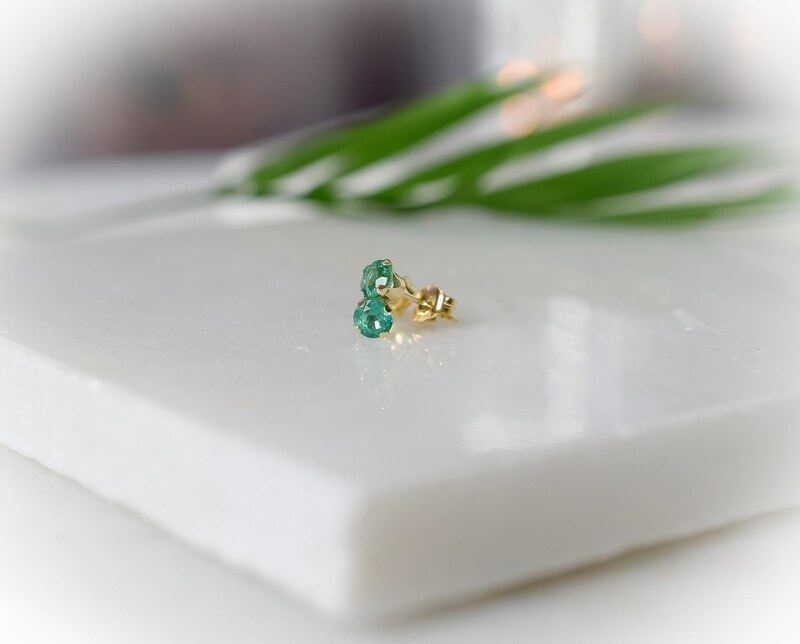 The earrings have butterfly scrolls for backs which are also 14k yellow gold. 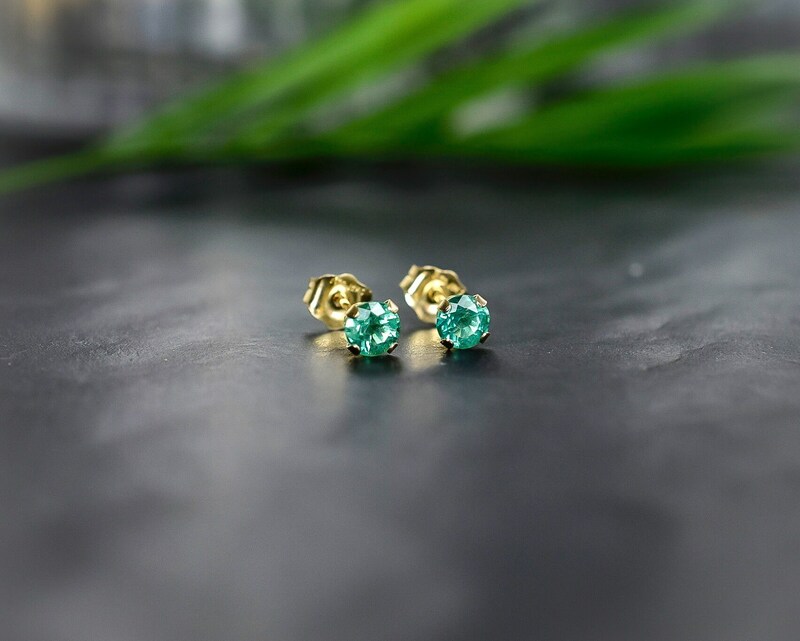 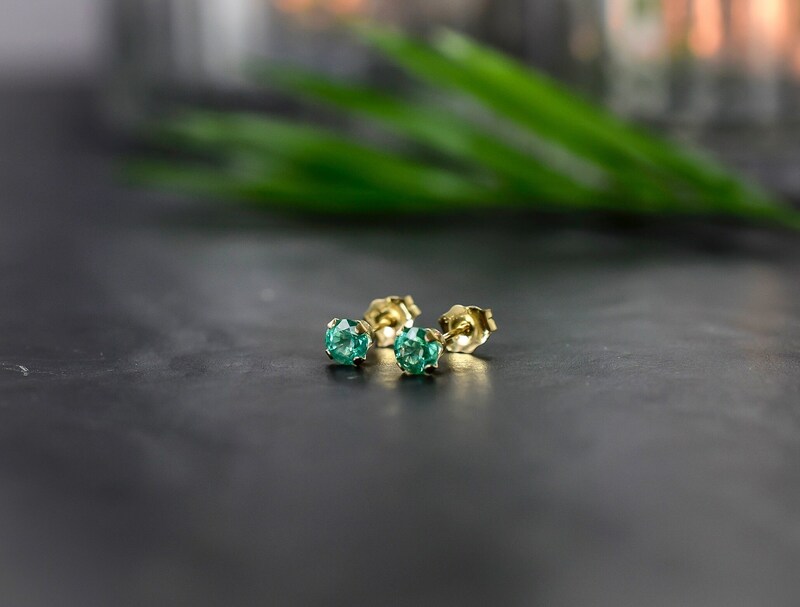 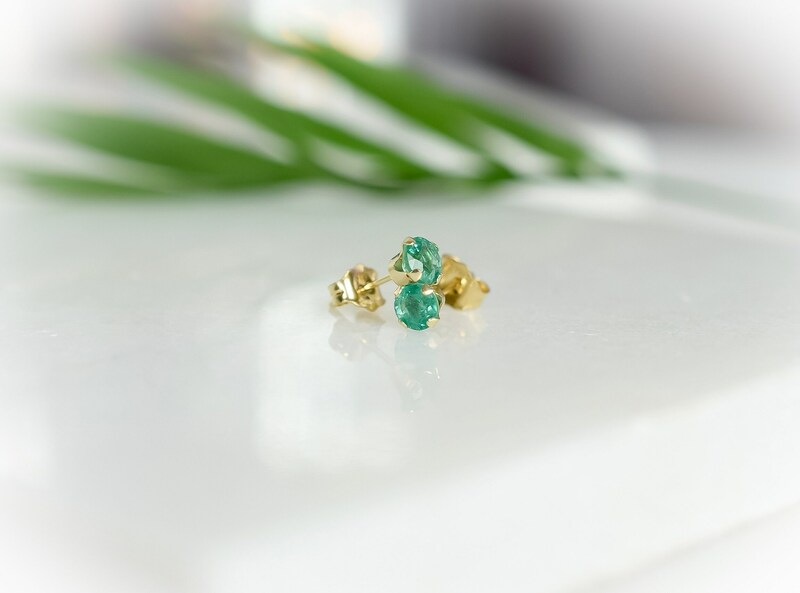 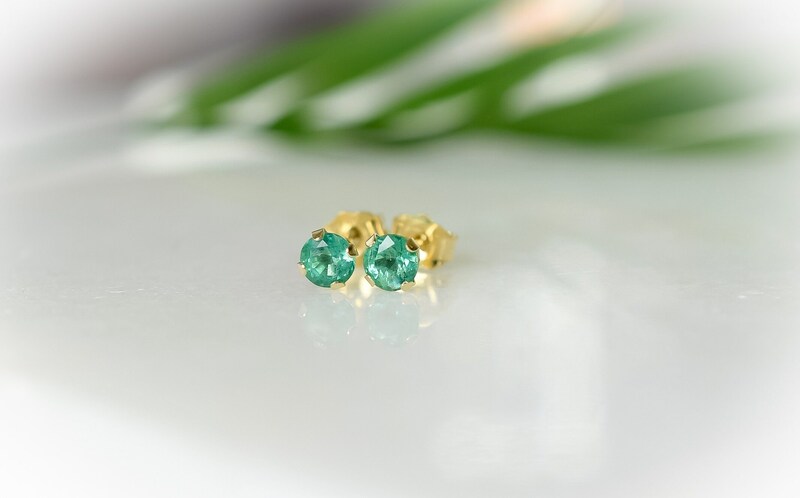 Emerald is the birthstone for May making these beautiful studs a wonderful gift for someone special born this month! 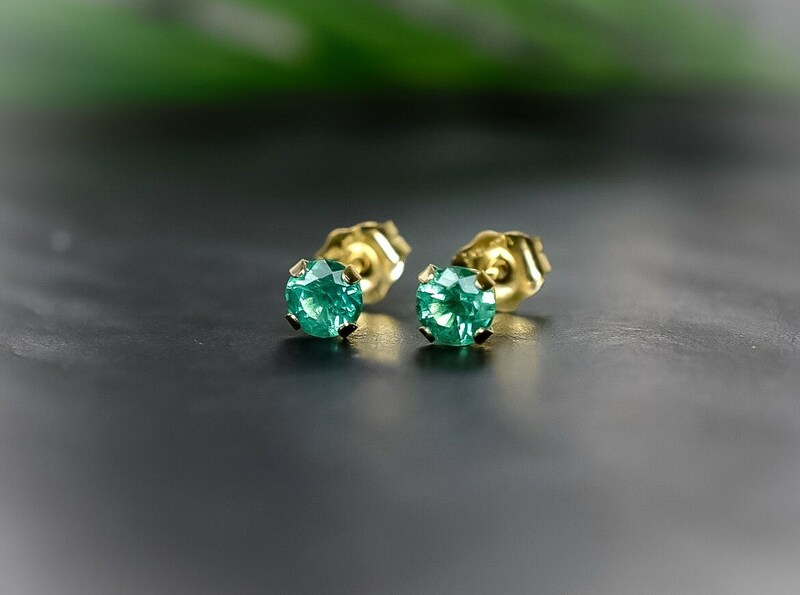 * The Zambian Emeralds measure 4mm. 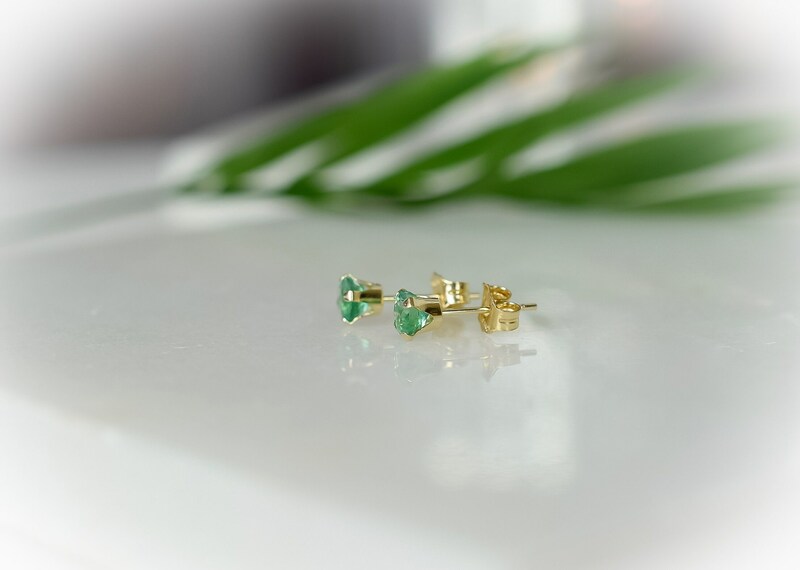 * Your earrings will arrive in a Saturnalia gift box.